Consider dipping into the Gospel according to Matthew to invite onto centre stage those “Shady Ladies” from Matthew Chapter 1: Tamar, Rahab, Ruth, and Bathsheba, verses 1-17 make an excellent reading! John Shelby Spong is an excellent resource, you can find a transcript of his excellent sermon here. 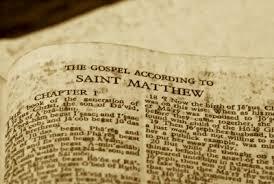 Try using Matthew 1:1-17 as your first reading and Matthew 18-24 as your Gospel reading. 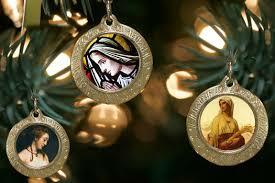 This will allow you to usher Mary onto centre stage. Then on the Fourth Sunday of Advent switch over to the Gospel according to Luke for all three readings: First Reading – Luke 1:26-38, Second Reading – Luke 1:39-45, Gospel Reading – 1:46-59. This entry was posted in Bible Study, Children's Resources, Evolutionary Christianity, PONDERING PASTOR, Progressive Theology, SERMONS, STORIES, Theology and tagged Advent Devotion, Advent reflection, Bathsheba, emergent theology, emerging church, evolutionary christianity, Feminist preaching in Advent, feminist theology, John Shelby Spong, Mary in Advent, missing women in the lectionary, Preaching Advent 3B, Preaching Advent 4B, preaching in Advent, Preaching Matthew 1, progressive Christian Advent preaching resources, progressive christian sermon, progressive christianity, Rahab, Ruth, Sandy Eisenberg Saso, shady ladies, spirituality, Tamar, theology by Rev. Dawn Hutchings. Bookmark the permalink.